In recent years, the environmental impacts of consumption have received an increasing amount of attention, in particular in the international discussions of sustainable development. But what sustainable consumption mean: consuming less, consuming differently, or some combination of the two? This project on behalf of the Danish Environmental Protection Agency developed some answers. 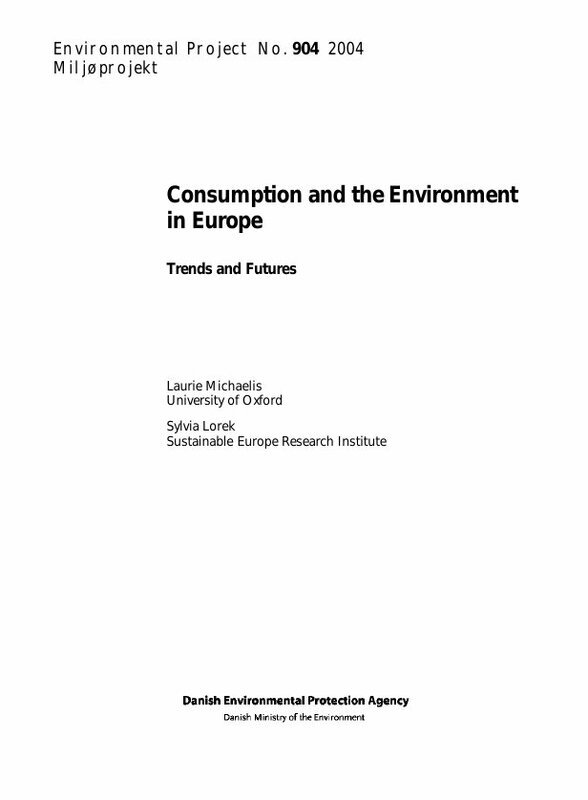 The report explores the outlook for consumption and the environment, considering the forces shaping consumption and reviewing scenarios in which lifestyles and consumption patterns might become more sustainable. It first notes the level and the complexity of the changes in consumption patterns that have occurred in the last hundred years. 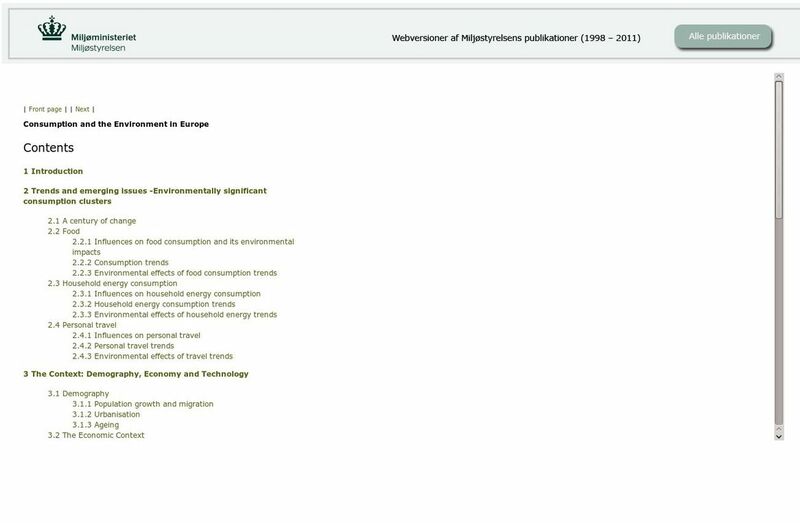 It goes on to identify the consumption clusters that are responsible for the greatest environmental impacts in Europe; these are food, housing and transport. It explores some of the economic, technological, social and cultural influences on consumption in those clusters; maps out some of the major consumption trends in the EU 25 and provides a brief evaluation of the environmental implications of those trends. A more in depth look is taken at the demographic, economic, technological, social and cultural factors that are helping to shape the consumer society. They also look at the ways in which these forces may be changing and identify some of the possibilities for future developments. Some attention is given to existing scenarios and outlooks in the literature and the report evaluates their relevance. It draws on three European scenarios to 2030, organised around alternative cultural and institutional forms. The scenarios offer three different routes by which the environmental impacts of European consumption could be significantly reduced. The future is unlikely to conform to any one of the scenarios analysed, but may contain elements of all of them. Implications for possible action have to be taken by governments, business and civil society. All have to carefully prepare for a future transition to more sustainable patterns of consumption. SERI contributed to the report through identifying the priority areas of consumption which will shape if future consumption will develop in a sustainable or unsustainable way and analysed the past and future trends.